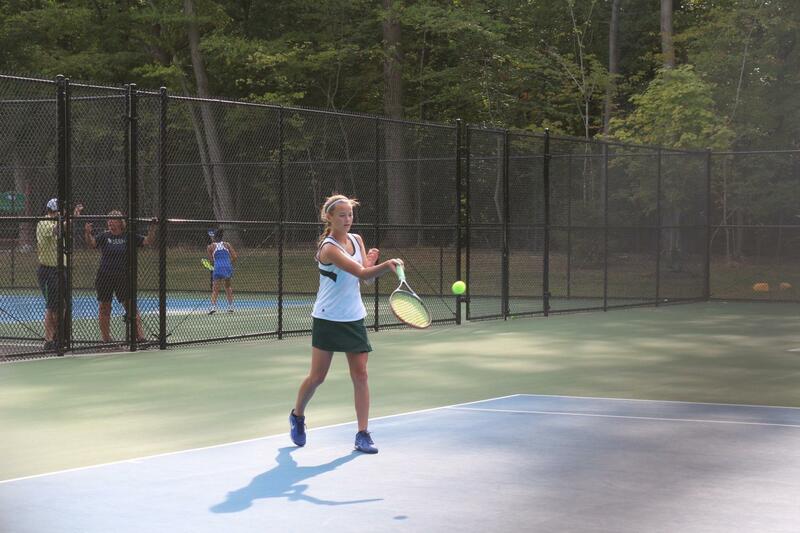 Melanie Brentnall hits a forehand. Brentnall is among the returning players for Pascack Valley, who finished 4-12 this season. Season Overview: Valley finished with a 4-12 record this season, with 2 wins each over Dwight Morrow and Bergenfield. The Indians were winless against all other opponents. Best Win of the Season: The Indians’ 3-2 win at Dwight Morrow on Oct. 1. While Ruback lost the first singles, but other players stepped up in order to secure the win. What to Look Forward to for Next Year: Gallione hopes the returning varsity players, including Juillet and Brentnall, take their games’ to the next level this offseason. Also, some junior varsity players will likely step in and fill in the roles of their former teammates in 2019.